They say “Home is where the heart is”, but if you’re in the midst of debating whether to rent or purchase your dream home, it can be more stressful than planned. Purchasing or renting your first home is a major decision that will greatly impact your financial security for years to come. So how can you know you are making the right choice? We have compiled the questions you need to ask and the facts you should know before packing up and moving out. Weighing your options doesn’t have to weigh you down with this Renting vs. Purchasing Guide! What can you afford? What are your long-term goals? How long do you plan on living in this home? How much responsibility are you willing/able to take on? What level of flexibility do you want/need in your life? How much outstanding debt do you have? Have you built up enough savings in your emergency fund? 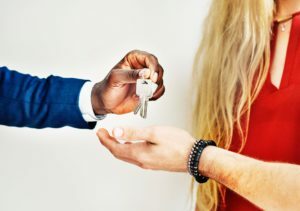 When signing a lease to rent a home, your landlord typically requires that you pay a security deposit along with your first and/or last month’s rent. Even with all three of those amounts combined, the initial cost to rent does not compare to the upfront monetary cost associated with purchasing a home. Additional expenses that you may need to account for include; Renters Insurance , minor repairs and maintenance, and utilities designated by your landlord. When renting, your landlord will typically require that you pay a security deposit and your first month's rent. Your security deposit is normally equal to a month's rent or a set percentage of that amount. One of the major advantages of renting a space is that the process of moving out is much simpler than selling a property that you own. 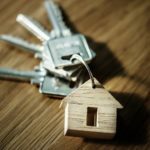 Most landlords require that you sign into a lease that is, at a minimum, a year's length, however, there are normally options and procedures set in place in the event that you must relocate sooner. In contrast, if you own a home, the process of selling a house and moving out may take a greater length of time and effort. Routine repairs and upkeep of your condo or home are traditionally tended to by your landlord. If you aren't the handiest human or would like to cross plumbing and unexpected damages off of your to-do list, renting might be the solution for you. Many hold the assumption that renting a property is not the best bang for your buck or financial future. However, that is often not the case. Paying your rent on time each month will help to boost your credit score and better prepare you for taking on a mortgage in the future. At the end of your lease, your rental cost may increase if you plan on staying the same location. The rental price is set by your landlord and may fluctuate from year to year. Unlike owning a home, as a renter, you have certain restrictions in terms of customizing your space. Many landlords prohibit cosmetic changes and remodels to be done to their property. However, this is something you will want to discuss when signing your lease. Renting a home is usually a short-term solution to a long-term need. Yes, it offers you shelter for the duration of your lease agreement, however, once that has reached its deadline you will once again be faced with either finding a place to live. Owning a home, on the other hand, eliminates the need to change locations every few years unless you so choose. Unfortunately, unlike owning a home, as a renter, you are not eligible for tax benefits and deductions. Owning a home can be a very exciting life transition and extremely beneficial to your overall financial future. However, purchasing your very own home-sweet-home requires a greater upfront investment and commitment than renting. Most mortgage lenders require an initial down payment that is between 3 percent and 20 percent of the home’s price based on your unique situation. (BankRate) Using a mortgage calculator can help you estimate your monthly payment amount and decide how much you are able to afford. Similar to renting, there are additional fees and expenses you need to take into account. Aside from the significant monetary factor to consider, there are additional perks and drawbacks that accompany purchasing a home. Making your mortgage payments on time each month can help boost your credit score! Unlike renting, you are in full control of your home. There is no middle man when repairs need to be made or you want to make an update to your space. Your home, your responsibilities! As long as you pay your mortgage and bills on time, you are free to reside at your home for as long as you wish. No need to worry about your lease ending or searching for a new crib until you are ready to find a new home. As a homeowner, you also have the opportunity of renting out your home or a portion of your space for additional income. Maximizing your deductions can help you earn boost your tax return when filing your income taxes. Homeowners can deduct mortgage interest and property tax payments from their federal taxable income, whereas renting a home offers zero tax benefits. In the era of fixer-uppers and Pinterest projects, many homeowners have taken to pouring a little extra TLC into their properties. When you purchase a home, you have the ability to personalize the interior and exterior of your home to meet your needs and style. Equity is when your home’s value rises while your mortgage debt falls as you repay it. Updating your home and making any necessary renovations can help increase the value of your home while you work to pay down your mortgage. From signing a mortgage to closing costs and realtor fees, there is a larger amount of upfront paperwork and money invested in purchasing a home as opposed to renting. However, the payout of owning a space that is yours for keeps is well worth the investment of time and money. Purchasing a home is an investment. Just like any investment, you are running the risk of losing money on your purchase. Housing markets are always flux. Although housing values may decline at one point or another, there is always the potential for the values to turn around. With great purchases come great responsibility. As the primary caretaker of your home, you are in charge of maintaining the integrity of your home, including; repairs, damages, routine upkeep, and landscaping. Once you are signed into a mortgage, the process of moving out of your home can be a much lengthier and time-consuming process than exiting a rental lease. Between hiring a realtor, finding potential buyers, readying your home to be sold, all while closing on and moving into a new property can be overwhelming to any homeowner. 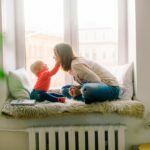 The decision of whether to purchase or rent a home ultimately boils down to finding a solution that suits your financial needs and your long-term goals. Speak with a trusted financial advisor to help assess and discuss and your options.